Seoul (AsiaNews) - Despite various obstacles and social difficulties, Christians must rigorously reject the culture of death and the temptations inherent in it, says Card. Andrew Yeom Soo-jung (photo). The Archbishop of Seoul was commenting on the latest ruling on abortion by the Constitutional Court on April 11, which states that an absolute ban is contrary to the Charter. The ruling also called for a legislative amendment that partly allows the legalization of the practice, in the early stage of pregnancy. In his Easter message, Card. 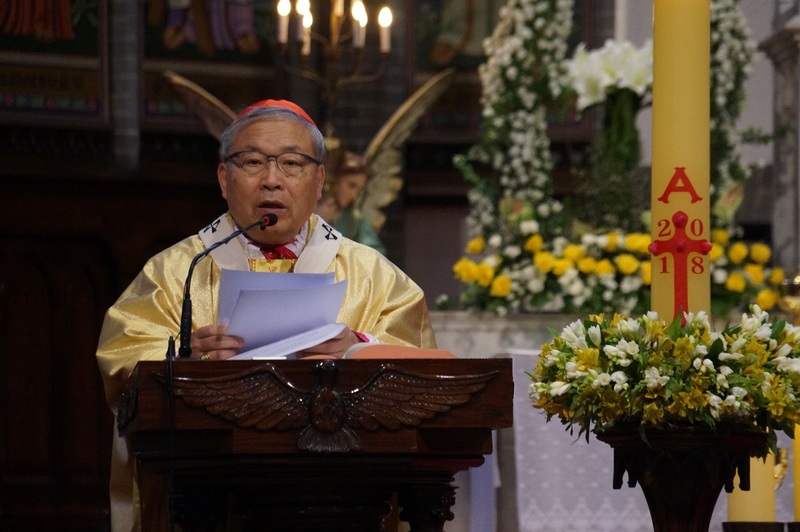 Yeom reaffirms Catholic doctrine in defense of life and expresses fears for the consequences that the sentence can have on the social fabric of the country. The prelate urges the legislators to carefully prepare the amendment to the current law; invites the faithful to be the first to choose life rather than death, adding, “We, people of God, should concretely serve and sacrifice for life. Among various social obstacles and difficulties, we, Christians, should strictly refuse the culture and temptation for the death.” The cardinal concludes “When we, ourselves, start choosing, respecting, and respecting every life as it is, we will definitely be able to experience the Risen Lord living right here with us.”". In recent days, the debate on abortion has returned to divide South Korean public opinion. Some feminist and medical organizations have welcomed the decision of the Constitutional Court. They argue that the current law limits women's self-determination rights. Religious communities express disappointment and regret over the verdict, stating that it violates the right to life of unborn children.